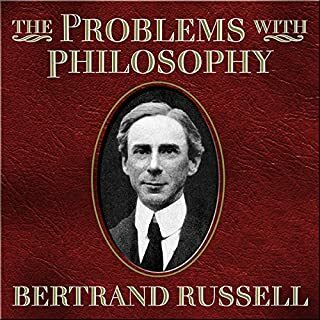 The Problems of Philosophy discusses Bertrand Russell's views on philosophy and the problems that arise in the field. Russell's views focus on knowledge rather than the metaphysical realm of philosophy. The Problems with Philosophy revolves around the central question that Russell asks in his opening line of Chapter 1 - Is there any knowledge in the world which is so certain that no reasonable man could doubt it? 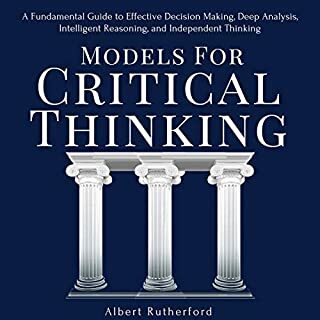 Models for Critical Thinking provides you with unique insights into the nature of thinking and reasoning - why are we often so wrong, why are we so inclined to avoid the responsibility of thinking for ourselves, and how can we develop solid, objective thinking patterns. 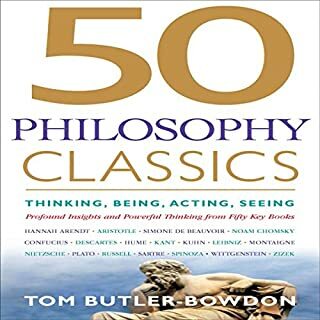 From Aristotle to Wittgenstein and Zizek, 50 Philosophy Classics provides a lively entry point to the field of philosophy. Analyses of key works by Descartes, Schopenhauer, Hegel, Heidegger, and Nietzsche also show how philosophy helped shape the thinking and events of the last 150 years. 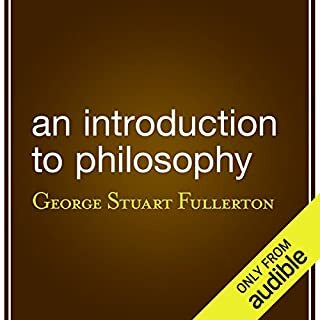 This classic explains American philosopher George Stuary Fullerton's realistic views on philosophy. Fullerton, born in India, spent time at the University of Pennsylvania, Yale Divinity School, Columbia University, and the University of Vienna. He was president of the American Psychological Association in 1896. How did a land and people of such immense diversity come together under a banner of freedom and equality to form one of the most remarkable nations in the world? Everyone from young adults to grandparents will be fascinated by the answers uncovered in James West Davidson's vividly told A Little History of the United States. Thomas Paine published Common Sense in 1776, a time when America was a hotbed of revolution. The pamphlet, which called for America's political freedom, sold more than 150,000 copies in three months. Paine not only spurred his fellow Americans to action but soon came to symbolize the spirit of the Revolution itself. His persuasive pieces, written so elegantly, spoke to the hearts and minds of all those fighting for freedom from England. An essential introduction to the history, concepts, and thinking behind philosophy that demystifies what can often be daunting subject matter, laid out in DK's signature style. The Dark Ages is the story of the birth of Western civilization. It was a harrowing crucible of war, destruction, and faith. For over 100 years, Charles Oman's famous history has remained one of the finest sources for the study of this period. Covering a period of 500 years and an area stretching from Northern Germany to Egypt, this is the definitive history that will alter your conceptions of a period of history that gave birth to the civilization we live in today. Who am I? What is justice? What does it mean to live a good life? Many of the fundamental questions of philosophy are questions that we begin to ask ourselves as young adults when we look at the world around us, at ourselves, and try to make sense of things. Philosophy will serve as an excellent guide for those interested in knowing about individual thinkers - such as Plato, Aristotle, Rousseau, and Nietzsche, to name just a few - and the questions and observations that inspired them to write. 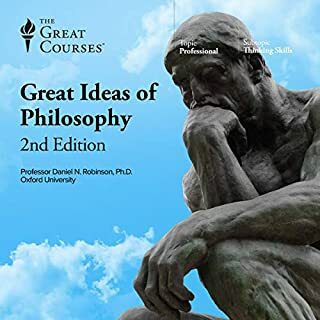 By presenting individual thinkers, details of their lives, and the concerns and circumstances that motivated them, this audiobook makes philosophy come to life as a relevant and meaningful approach to thinking about the contemporary world. A lucid and engaging book full of thought-provoking quotations, as well as clear explanations and definitions, Philosophy is sure to encourage students and laymen alike to investigate further. I love seeing how philosophy is proved by her deeds. That's what this book does in a substantially condensed format. It's like an index of ideas, told with many character sketches, in layman's terms, for the average reader. The chronology of philosophy is interesting by its own right, but the author does a great job of relating philosopher's ideas with other philosophic development. No perceived bias in this overview of philosophy. I love history, and that being said, I feel that in this instance, the reader would do better to have a hard copy versus an audio edition of this title. It reads like a laundry list of facts and is as dry as Ferris Bueller's teacher. I felt transported to my hard wooden desk at school on exam day. UGH! Overall, this was quite a good audiobook. It had an expensive review of Western philosophy. I feel that it perhaps was less thorough in regards to modern philosophy of mind. He didn't do any honest research. I read this kind of predjuce in encyipedia and school history book. It has given me ideas to chase after and learn! I have the book of this audiobook. I've had it for a while, and have only read it piecemeal. However -- I love this audiobook! It has totally made the "book" more interesting to me -- thanks to the reading of Steven Crossley. I also love the phrase "Thought begets Thought" -- and that is exactly what this book does. It contains a concise discussion of each of the "philosophers" and their ideas; and the reactions to these ideas; and the philosophers who followed, and their ideas and reactions -- often in reference to the prior ideas, ad infinitum. It has also given me ideas to chase after and learn about, etc. A wonderful book! Very interesting! AND I love to listen Steven Crossley. I love his voice, and the way he "expresses" each book that he reads. He has given this book LIFE for me. Try it! You will really like! You won't want to the reading to stop. Biased to the point of annoyance. Awfully biased, especially against the Church, without providing adequate basis in the Galileo case and many others. For some reason Audible only has a single star for each of the three categories. For this book I would have given it 4 stars for Overall, 4 stars for Performance, and 4 stars for story. I enjoyed this book very much. It maintained a good level of interest from me from beginning to end. I feel it has done an excellent job of touching on so many philosophical views in a single volume. 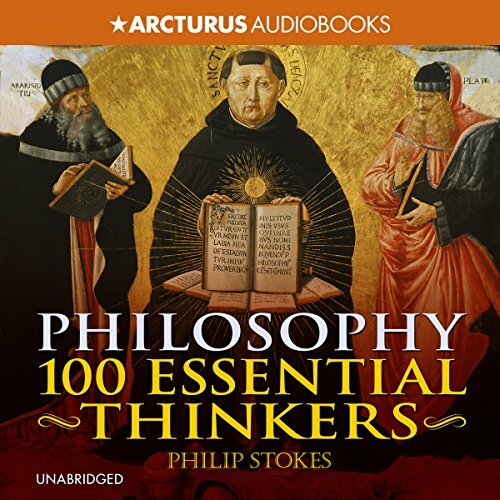 Philosophy is tough to follow unless you're really focused on it, harder still in audio format. 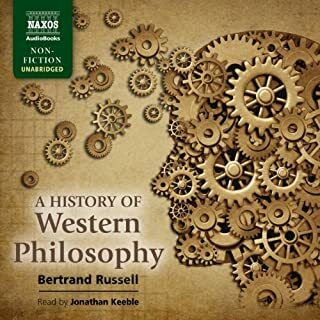 This audiobook tries hard to distill the key thinkers and their ideas throughout the ages into easy to absorb snapshots. Some content is harder to follow than others, but I think that's due to the nature of the content itself. Overalll, this is a good listen and recommended. I quite enjoyed this book, some of the coverage could have been a bit longer. A lot of the book is going to go in one ear and out the other unless you're already familiar with a lot of the subject material.